Attorney Ryan A. Pavao graduated with honors from Boston University where he majored in Political Science with concentrations in International Relations and Comparative Politics. He received his juris doctor degree from Suffolk University Law School in 2014, concentrating in Trial and Appellate Advocacy and International Law. In law school, Attorney Pavao served as a note editor for the Transnational Law Review and was a competing member of the Suffolk National Trial Team, competing in three tournaments and coming in second place at the 2014 American Association for Justice (AAJ) Northeastern Regional Tournament. While in law school, Attorney Pavao interned for the Honorable Christopher J. Muse (MA Superior Court Department, Civil Division); with the Appeals Division of the MA Attorney General’s Office Criminal Bureau; and with the Suffolk County District Attorney’s Office. He also participated in the Suffolk University Law School Prosecutor’s Clinic. Prior to attending law school, Attorney Pavao served for seven years as a commissioned officer in the U.S. Army – Armor Branch. Attaining the rank of captain, Attorney Pavao served with distinction in Afghanistan, Korea, and stateside, receiving numerous awards and commendations, to include the Bronze Star Medal. 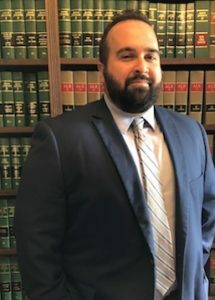 Prior to joining Beauregard, Burke & Franco, Attorney Pavao worked as a prosecutor in the Bristol County District Attorney’s Office, serving in the district courts in Attleboro, Fall River, and New Bedford. During his nearly four years with the office, Attorney Pavao prosecuted hundreds of cases and tried dozens of jury trials, to include a drug trafficking case in the superior court. Attorney Pavao is licensed to practice in the state courts of Massachusetts.